It seems like I wrote October’s Gratitude Circle’s post only yesterday. November seems to have passed in the blink of an eye! I confess (I seem to be doing a lot of that these days!) there were days when I had to wonder what day it was. I felt like that man on the horse, who had no idea where he was going. I accomplished a lot, or so it seemed. I did make it a point to write down, on a daily basis, the things that made me smile, things that made me happy, and things I was grateful for. I focused on finding the silver lining all the time. And lemme tell you, sometimes it is not so easy. Luckily for me, there’s one advice from my mom I have learned to follow–looking on the bright side. I am blessed with a partner who is especially expert at that. And that always cracked me up, because I would keep thinking of grammar. Also, very tough to argue with my Mom. Here are the highlights from my gratitude journal for November. My son turned 20. No matter how many times I say or think it, I still can’t get over the fact that this cheerful baby who has filled our lives with love has grown up. It seems like I blinked and he turned 20. I felt sad he wasn’t home with us. But of course I consoled myself that he’d be home soon. He’s coming home on Saturday–the day after tomorrow! So grateful for that! I asked him what he had planned for his birthday, expecting to hear about perhaps a party with his friends. But he told me that he was going to give the hostel workers a treat. Can you imagine how I felt? He gathered them together and went and got snacks. And sent me photos of them, along with selfies with them. My heart swells with pride. What a chip off the old block! Grateful to be his mom! Three weeks ago, I had an unexpected trip to my favorite city for a health writers’ convention. It was a fantastic three days. I had a great time meeting old friends. The bonus was a visit to Golconda fort, one of my favorite haunts. I have such fabulous memories. So grateful for this wonderful interlude! 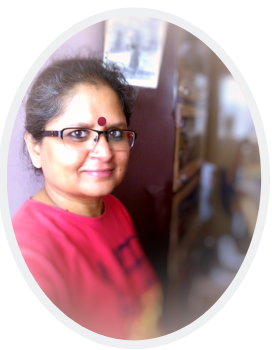 I actually clicked an impromptu selfie–so happy was I! On the work front, I am excited that the two books I finished editing have gone to print. Almost like giving birth, I tell you! What a feeling! I’ve been editing for more than a year now, but each time a book is ready to be published, the feeling is priceless! So grateful to do work I enjoy! I am also looking forward to a new client in the offing. It is something I’ve dreamed of doing, and I can’t wait to get started. Thank you, Universe! Or rather, thank you Grandma! She taught me to always send out happy thoughts and visualize outcomes. Our hospital visit saga continues. My husband’s dental treatment goes on…and now, an unexpected root canal has been advised. Sigh. This too shall pass, I s’pose. Grateful to have access to medical care. Also, I am secretly bugged that the hospital always writes prescriptions for items that are never available at the local pharmacy and then, finding an identical composition becomes a project. Bah! What can I say? Grateful for a partner who takes everything in his rather long stride with a big grin. I am grateful to Vanita who is always around to listen. She always has my back–whether I need a shoulder to cry on, rant or need techie stuff on the blog–she’s always there to for me, no matter what she is going through. I am so lucky to have her in my life. And of course, I’ve been having internet woes. I have wisely realized that there’s no point freaking out. So I simply shut down my computer and attended to things offline. There’s always cleaning to do. I am still working on the bookshelf wall–haven’t been able to do it because of the hospital visits taking up so much time. Just imagining it is so motivating! If the internet situation continues, I have a good mind to paint one room. I’ve painted two walls in my kitchen. Not a great job this time, but at least it has a fresh look! And slowly I will finish the rest of it. Thanks to being disconnected, I was more connected with the things I enjoy–I was binge-reading, and even caught parts of some movies. Yes, I am a total surfer! I also watched a fantastic TV series. Lots of music, too, but that’s something I do anyway–except now, a lot more. Grateful for those fantabulous speakers! Oh! November is also NaNoWriMo – National Novel Writing Month. I almost decided to skip it, recalling how I lost all my data when my hard disks crashed that fateful March day. But then, I shook off the momentary feeling of hesitation and decided to do it. I validated at 103,293 words. The working title is “Let’s show diabetes who’s boss” For diabetics, by a diabetic. I am super-thrilled with this. I started with a different idea, but this one was literally making my brain burst, so I just had to work on it! Wish me luck! Grateful to be gifted a good attitude–I am indebted to my Mom! Ah, my list wouldn’t be complete without mentioning the loads of laughter I am treated to every day by a certain young lady next door. She’s all of nine months old and charms me with her sudden smile! Their apartment is next door and when I am in my kitchen, I enjoy the family’s conversations interrupted by the baby’s shenanigans. What a blessing! Grateful for the joy! There’s so much more! I am going to stop here now, though, because I am eager to know how your November went. Join me for the November Gratitude Circle blog hop. Add your post url to the linky below. Thank you for your presence here today! I am new to your blog. One thing I’ve learn’t is that we all have to create our own happiness as it has to come from within. And from your writing, you sure have a lot of it through your attitude, outlook on life and by being thankful for everything you have in your life. Most recently I’m thankful for discovering so many truly wonderful posts written by fellow bloggers. They leave me with food for thought, some new ideas to incorporate in my life (like to-don’t lists and saying no to shiny distractions) and a really, nice, warm, fuzzy feeling inside. As I write this comment, I glad to tell you that I am enjoying and savoring this perfect, present moment. Ah Vidya. So nice to read about your November and the positives that you always take no matter how terrible the situation. How lovely it is that Vidur is 20. These kids they just grow up so quickly. 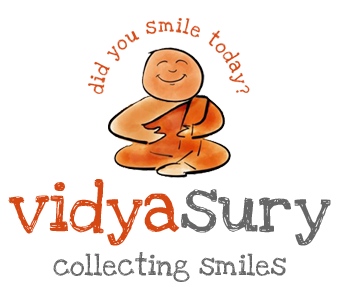 Wish all the best to Sury’s dental treatment. Mine had extended for 6 months from the beginning of this year and I still wince at the memories. So sorry to hear about your internet troubles. It is quite annoying, really.. Hope your December is beautiful just the way you are. My dear vidya, where do you get all the energy from 🙂 I simply marvel at the way you handle yourself, thanks for bringing in so much enthusiasm and positivity. I am so happy reading your post, despite all the issues with net, health problems- you have the right attitude and thats what is so motivating and inspiring. Thank you for sharing, I always love to read your posts. wishing you a great month ahead:) my wishes to your son, as he turned 20, may he be filled with love, joy and peace!! Vidur is a darling! What a kind-hearted guy. Vidya, your gratitude lists are warm and make me happy. Like those giggles you hear from your kitchen window. Sorry to hear about Sury’s on going dental issues and hope it should all be settled with the root canal. That usually closes it. And internet issues? Again? Have you tried hotspots? They work better sometimes. Thats so beautiful and filled with loads of positivity and warmth . I loved your Moms ideology, living in the present, as they say Carpe Diem is what makes or breaks it. we worry too much about whats gone by or yet to come and miss on living in the moment. A belated birthday to your boy. My girl turns 3 on 7 Dec (I am miles apart and it feels terrible to not be at home). You actually wrote 103K words for nanowrimo? Thats simply superb. Let me close this on a note that I absolutely loved this concept of gratitude diary and so glad to have joined your blog hop , I want to try and imbibe the hobbit of writing in down in a diary more often. I am writing my my post soon! Happy birthday to Vidur! I love reading your gratitude posts. This time I wrote one too. Hope to do it every month from now on. Hope your internet issues get resolved soon. Happy December! The secret behind to lead a joyful Life is defined in the above one line… and once we glance on these lines, its impact will remains for ever in our mind… ‘Surya’, ‘Vidya’ ‘Vidur’,… all names with 5 letters sounds like a sweet melody… I am a new face to you all… so is the reason for me to observe all these, hope I am not mentioning anything wrong… Appreciate the way you are tuning your time to reflect your presence in every field involved by you, and manages your days, both hard and light alike, with “Smiles”…. God Bless! All the posts appears in “Collecting Smiles” are wonderful and are packed with power of motivation… Thanks! Happy Birthday to your son, Vidya! He sounds a lot like his Mum. 🙂 What a bummer to have ongoing internet woes, but as you said, it gives you the chance to do other things. A real blessing in disguise, yes? With all you have going on, it amazes me that you also tackled NaNoWriMo. You are truly awesome! Here’s hoping your hubby’s dental woes will be finished soon. Wishing you a fabulous December and lots of mother/son bonding. Vidya, happy birthday to your son. Children grow up so fast, one day they need help in everything and the next they are out of the house and come back for a few days during breaks 🙁 I loved your Golconda pic. I have been to Hyderabad twice but missed out on visiting it. Maybe next time. Great gratitude post, I hope to add mine too. What a lovely idea! Maybe I should do it too.. write a gratitude post.. I think I just did..
Nice approach i am very inspired by this post very interesting and informative you are a good writer thanks for share.